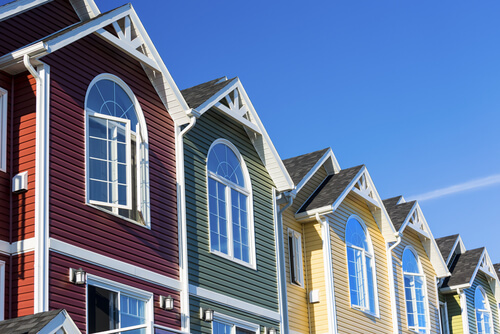 Why choose vinyl siding to help protect your home? This is a question that many homeowners come across when looking at various siding solutions. Besides the fact that vinyl has become one of the more popular siding options for homeowners in Massachusetts, there are more specific reasons to choose vinyl. Wood is a very popular siding material but a big problem with it is that it requires maintenance. From painting and other upkeep work, wood siding can continue to take money out of your wallet for years to come after the installation. CertainTeed vinyl siding can match the appearance of so many popular siding materials out there for only a fraction of the cost. Save money and put your hard earned cash towards other parts of your home! We are happy to meet with you at your home or you can also stop by our office to learn more about these siding options. For more information about CertainTeed vinyl siding please feel free to reach out. Mario’s Roofing can be contacted over the phone today at (781)-344-2420 or through our online contact form.